My first experience with Durdens Catering was exceptional. The quality and quantity of the Food preparation and service extended by Chef Rytonie and his excellent onsite staff was beyond words. The Pasta Station layout was beautiful and blended perfectly with my daughter’s Bridal Shower theme, “Classy & Fabulous!” I would definitely recommend this service for any event. Durden’s Catering and Chef Tony did a perfect job on our wedding reception. Everything was beautiful and made to perfection. The staff was very professional. Chef Tony was able to accommodate our growing number guest last minute and Chef Tony did it with ease. I will use Durden’s Catering for all my catering needs. Excellent service, superb food, and great set up! I would like to say THANK YOU to Durden’s Catering for creating a wonderful catering experience for my co-worker Retirement Party. The professionalism that Chef Tony displayed was awesome. His response time was always on time whether I contacted him via phone or email. He was available to answer questions, make order changes etc. The Food was awesome! I would refer Durden’s Catering to you for your event! I used Durdens Catering for my family’s Thanksgiving Feast this year. I’ve never used a caterer for the holidays and was very nervous but hopeful. Chef Tony exceeded my expectations and my family was very happy with how good the food taste. I strongly recommend Durdens Catering for your next event! I also appreciate Chef Durden staying on schedule during the fast paced holiday season. 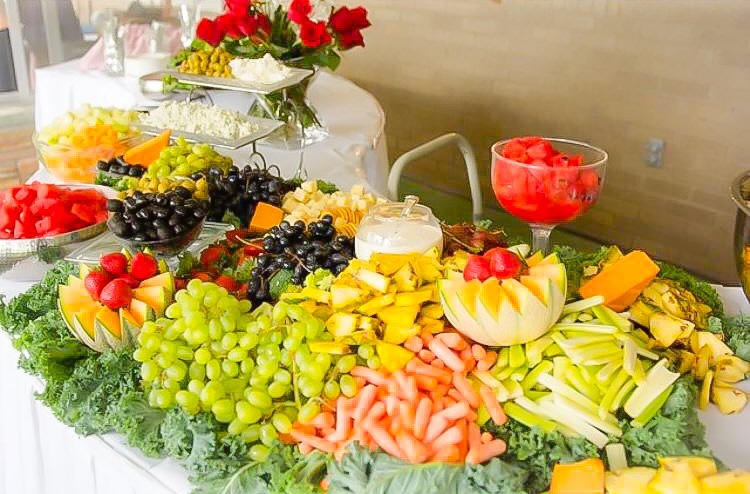 Durden’s Catering has provided catering services for several of my important events including birthday parties, my bridal shower and even small brunch parties located in my home. No matter how large or small the event was, Chef Tony exceeded my expectations each and every time. He truly cares about his customers and will go the extra mile to ensure that you’re happy! Even if that means helping to set up your event when other vendors are late, etc. He provides delicious, quality food with beautiful presentations and detail. He is always relaxed and professional which allows for a great customer service experience. Again, I’ve been using this catering service for over 2 years and will continue to do so! There are many great things to say about Durdens Catering but to name a few, this youthful founder and his establishment delivers to the customers needs. They are efficient, friendly, not over priced and not to mention the food is delicious! The presentation is remarkably. If u haven’t tried Durdens Catering you are missing out. Everyone should have this experience. My event was a success and the food was excellent. Since you have catered this event, my family is already discussing hiring you for the holidays. Some people claim to be a chef, but not every chef knows how to cook. I can say from my personal experience, you are dependable and your love for cooking shows in the food you prepare! Thank you for all your time and hard work you did for my event. Chef Tony is one of the premier Chef’s in this region. His attention to detail and quality ingredients combine to produce a delicious experience. I definitely recommend trying Durden’s Catering for your next event…you’ll be glad you did! Durden’s Catering has consistently provided quality service to our board’s and school community. Chef Tony maintains a wide array of menu items for all of our events and provides the freshest produce and great tasting entrees. A Christian man sent from God. God has given all his children a talent, Chef Tony knows his. This young man gift for cooking is wonderful/excellent. The word is, the way to a man heart is through is stomach. Well as a woman it works for me to. Great Work Chef!